LiionWholesale Battery Case fits 2 18650s or 4 18350s. 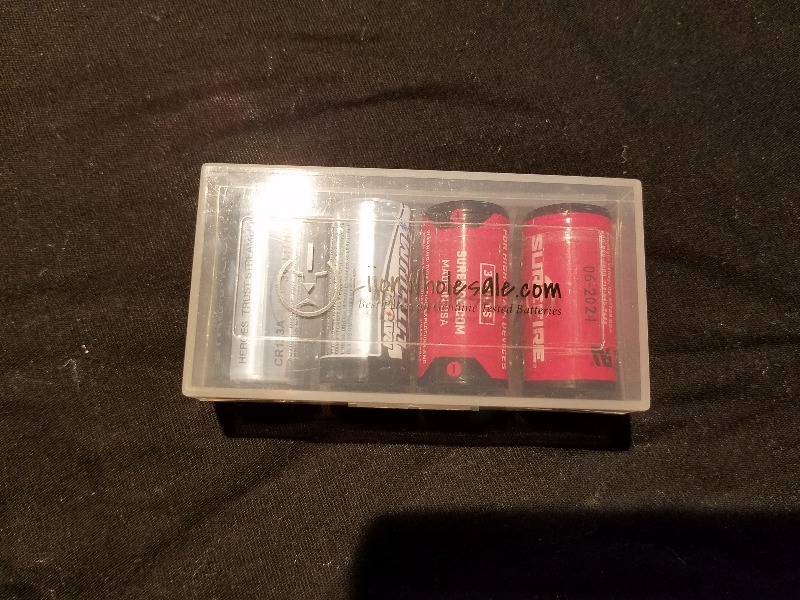 This clear battery case holds either 2 18650s or 4 18350s for storage or transport. 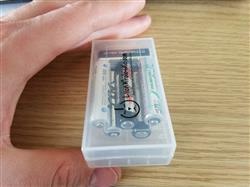 Features the LiionWholesale logo, so next time you need batteries, you remember where you got 'em! Available with a clear, transparent Liion logo or a blue Liion logo. Note: Does not include batteries, and sold individually. Also, this case WILL fit protected 18650s (our quad case will not). Want an unbranded or colored 18650 case? We offer unbranded cases for wholesale/retail customers or those wanting a colored case very inexpensively here: Blank 18650 battery cases. 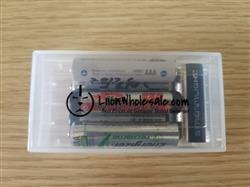 The cases work for storing and transporting batteries without wasted space. The batteries are great, The shipping was prompt and arrived on time. I will definitely be buying from here again. It's not the thickest plastic, but it doesn't need to be. It is fully adequate. Well worth the price. Works great and holds the charge along time. 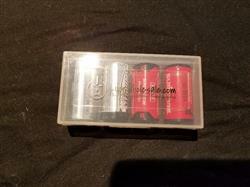 Using it on a dna its a great battery.